I’m researching the construction of nineteenth century audiences by the magic lantern, mainly through Trove newspaper searches, and finding fun stuff, such as this from the Queensland Worker, ‘Dissolving views’ was another phrase for Magic Lantern Show. 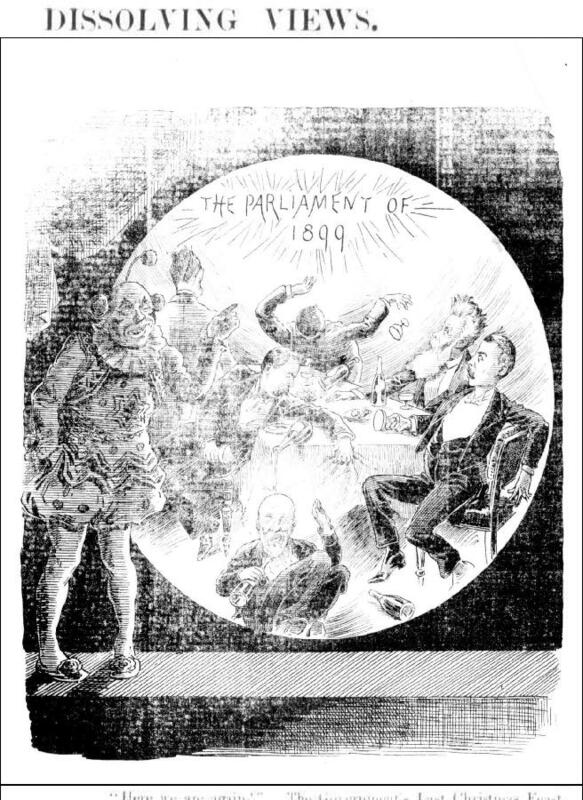 I don’t know enough about fin de siecle Queensland politics to get the joke though. Here we are again, the government’s last Christmas feast. Posted on January 23, 2014 by martynjolly. This entry was posted in Blog. Bookmark the permalink.